Everyone who studies internet marketing eventually learns about several different ways to market their products and services on the internet. You have almost certainly heard of affiliate marketing and selling your own products from your website. You probably even learned about offline marketing for your business. E-mail marketing is probably the most well known tactic of all to sell your services, products or affiliate offers. The best, and only legitimate way to use this method is to send your offers to people who have given you permission to e-mail them. 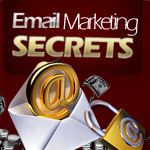 All you have to do is figure out how to get lots of people who want to receive your e-mails, which might not seem easy. List building is one of the primary problems faced by internet marketers today. List building does not have to be hard; just take action on some of these tips. You never want to bore your readers, or present them with stale content – plus, make sure you write them well. Just like in English class, no typos and no grammar mistakes. Always avoid hurrying when you write because it rarely works out very well regarding mistakes and other errors. In some ways you'll only be encouraging people to unsubscribe from your list. Good, engaging, and topically relevant emails will almost always be read, plus it may even be forwarded. You always stand to gain if your emails are forwarded to friends. Consider publishing your own newsletter. If you want visitors to leave you their e-mail addresses, you should give them an incentive, which means a freebie of some kind. A newsletter is one of the best free things you can offer people. Make sure that your newsletter has some quality content; it should also offer something beyond what people can find on your blog or website. Once your newsletter becomes better known and you have lots of subscribers, you may be able to charge people a small price for subscribing, which would bring you an additional income stream. If you publish a newsletter, you should retain the right to send subscribers other material, such as promotional e-mails as well; make sure this is clear when they subscribe. Don't commit the mistake of emailing your list too much otherwise you'll become an unwanted visitor. Too many emails to your list will only encourage them to begin unsubscribing. If you only send out e-mails every once in a while, and you make sure that those e-mails are about important information or promotions, people will be more inclined to buy from you. You'll develop a good reputation which will attract more people to you. There few other methods as effective as selling to a list. Your readers will become accustomed to receiving e-mails from you and will actually start to look forward to seeing your name in their in-box. If you keep at it and only sell quality products you could wind up with a list full of people who will buy anything you offer them simply because you are the person offering it. With the right techniques you can speed up the time it takes to build a list. On the other hand, if you get your hands on some techniques that then you can have your own list of large buyers. Do I really need a list when I have a blog? Isn’t it better to try to get rss-feed subscribers instead? It’s best to have them all, just like when you have a product, you want to have it in a) A readable format PDF format b) An audio format and c) Video format. Just like subscribers, some will get the RSS feed, some will want the email etc…But the most important part is when you have a list you can email them whenever you have a new product / service come out, call it “special email subscribers early bird discount” while an RSS feed you cannot do that. Having one is ok, but having both is better. This is a good read. Thanks for the post. Email marketing has been one of the primary marketing tools at the present time. Getting assurance of a successful campaign starts with an email list. Carl has laid down the steps in building one, and I could not agree more.